Roger’s history in urban growth planning most recently includes the Takanini Nodal Urban Form Study and Proposed Plan Change in outer metropolitan Auckland (2004-07), involving regional urban growth, rail and land use planning, and requiring specialist subconsultants. He also advised Wellington City Council on the early planning of the Ngauranga-Airport corridor (2005). Roger has worked on the Papakura District Plan, Hamilton District Plan, and North Shore City District Plan, and made a submission as a local resident and planner to the South Carterton Structure Plan. 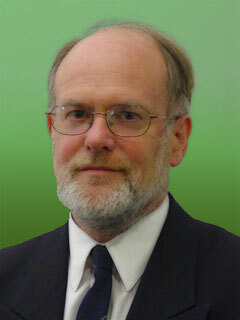 Prior to his 1995 migration from Britain, he worked on the Birmingham Unitary Development Plan. Roger worked on innovative Area Studies during his time in Birmingham. These were essentially community-based, working with the local voluntary sector, residents’ groups, and ethnic minority communities in low-income areas often subject to major infrastructural change. More recently, Roger has inputted to the South Carterton Structure Plan from his perspective as a local resident as well as a planner. As Hamilton City Council’s Transportation Policy Planner, and before that on the District Plan Team, Roger participated in management of work on the Hamilton Integrated Transport Strategy (HITS). Later, after his move to consultancy, Roger covered travel demand management within Hamilton’s Alternatives to Roading Transport Strategy (HARTS). Roger has prepared Walking and Cycling Strategies for Banks Peninsula District (now part of Christchurch City) and Environment Waikato. He was an Executive Council member of NZ’s pedestrian and walking advocacy group Living Streets Aotearoa from 2001 and 2008. Roger has helped shape the direction of planning for cycling both in New Zealand, and prior to that in Britain. His 2000 Into the Mainstream report concluded a year-long NZ Cycling Strategy Foundation Project, and much of it was taken into the government’s walking and cycling strategy work. Between 1998 and 2004 he represented New Zealand on the Australian Bicycle Council. Since then he has prepared local cycling strategies for Nelson City, Banks Peninsula District, Hamilton City, and Environment Waikato. Before his 1995 migration from Britain he led implementation of Birmingham’s Cycling Strategy as its first full-time cycling officer. He has led work on cycle route scoping reports (linking planning and engineering and including usability assessment) for Hamilton City, Manawatu District, Carterton District Council and (prior to his 1995 migration from Britain) Birmingham City. Starting with internationally peer-reviewed research on passenger rail funding overseas and in New Zealand, Roger has produced in 2010 an Evaluation Handbook for KiwiRail, in association with Transport Futures Ltd, together with a passenger rail network development strategy and several background technical research notes. A particular focus has been regional commuter and long-distance tourist services – recognising that rail has more support and potential than just commuter services within Wellington and Auckland. 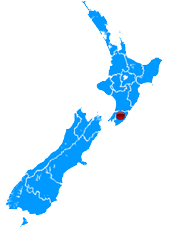 Other work in this area has been for Horizons Regional Council and Waikato Regional Council. Roger has worked for the Ministry of Transport and Land Transport NZ Head Offices.He identified and researched the best practice examples for the Minstry’s Getting there – on foot, by cycle document.For Land Transport NZ, he researched legislative requirements and practice in preparation of land transport programmes, preparatory to official advice. Roger has been on the Organising Committee of all six NZ Cycling Conferences until 2007, and some of the NZ Walking Conferences. He has also informally advised the NZ Planning Institute, IPENZ Transportation Group, NZ Institute of Highway Technology, NZ Roadmarkers Federation, Conferenz Ltd and Bright Star Training on conference/ training possibilities, as well as other involvements including speaking, chairing panel discussions and expert commentary. Roger lectured NZ Institute of Highway Technology degree and diploma students each year from 2004 to 2011 on land transport legislation, transport strategy and land transport programme administration. From 2011 he has undertaken post-assessment moderation for this Institute. He has also lectured for Auckland and Massey Universities on urban form, transport and urban design.